We’ve been mentioning the existence of a new Guardians Of The Galaxy comic, Mother Entropy by Jim Starlin and Alan Davis for a wee while now. But today at ComcisPRO, Marvel made it official. 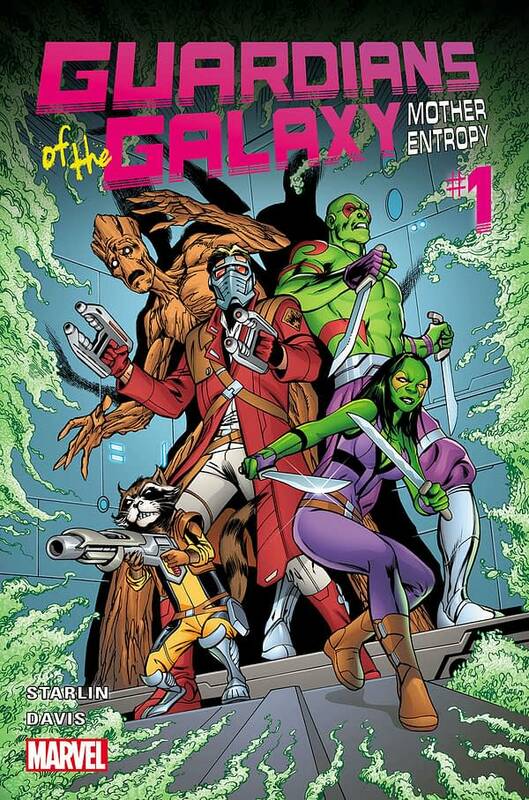 Guardians Of The Galaxy: Mother Entropy is a five-issue limited series that re-teams writer Jim Starlin and artist Alan Davis, with a new villainous entity alongside some old favorites from the Starlin cosmic catalog. And it begins in May and runs weekly. The book will also include the return of Pip The Troll. A precursor to the Avengers movie perhaps? As for Mother Entropy, she wants is for everyone to get together and be one big harmonious family. So how will that work out?